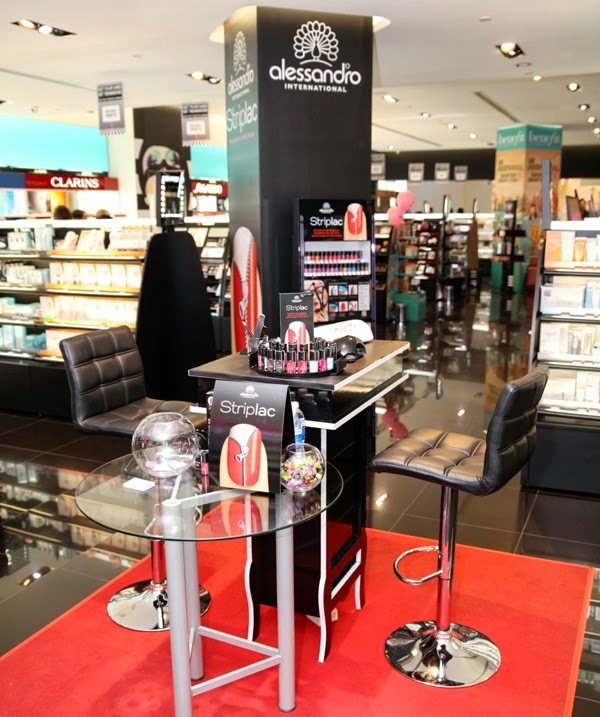 Alessandro Striplac is now available in Sephora Malaysia. the world’s first peel-off UV/LED nail polish was launched at Sephora KLCC, located in Kuala Lumpur recently. The new “peel off polish”. Alessandro Striplac is the only UV Polish that offers quick and easy application, extreme durability (10 days), high colour brilliance, no chipping, scratch-free, 60 seconds curing and gentle to the natural nail. Being unique in the market, it is suitable for consumer home use and salons. A pioneering technology means that Striplac can just be peeled off when you want to change your nail colour without the use of acetone. The afternoon event was attended by distinguished media, celebrities, bloggers and customers. Among them were Cathryn Lee, Joey Leong, Emily Lim, Isaac Ong and Alan Yun. Chloe Chen (Miss World Malaysia 2011), emcee of the event has impressed the crowd with the concept of Alessandro Striplac. Alessandro Starter Kit includes a LED Lamp, Peel-Off UV/LED Nail Polish No. 27, Peel-Off UV/LED Base & Top Coat, Cleansing Pad, 4-Step File and a Cuticle Pusher. Alessandro Striplac comes in 48 shades from the regular range which is amazing as the variety of the shades is awesome, from stunning classic shades to more fun and on-trend colours. The system works real simple. Start with de-grease the nails with a 4 step file and follow that with a basic coat. Cure for 60 seconds with LED lamp. Choose a color and repeat the steps. Finish the steps with cleansing pad and the result is beautiful nails. Alessandro Striplac are available exclusively in Sephora and the retail prices as below.